A well-equipped kitchen can go a long way toward making a tiny space into a home. At the center of the kitchen is the range, an appliance you'll use every day to prepare meals for yourself or your family. Learn about the different types of cooking appliances available for tiny spaces, and how to choose which one is right for you. 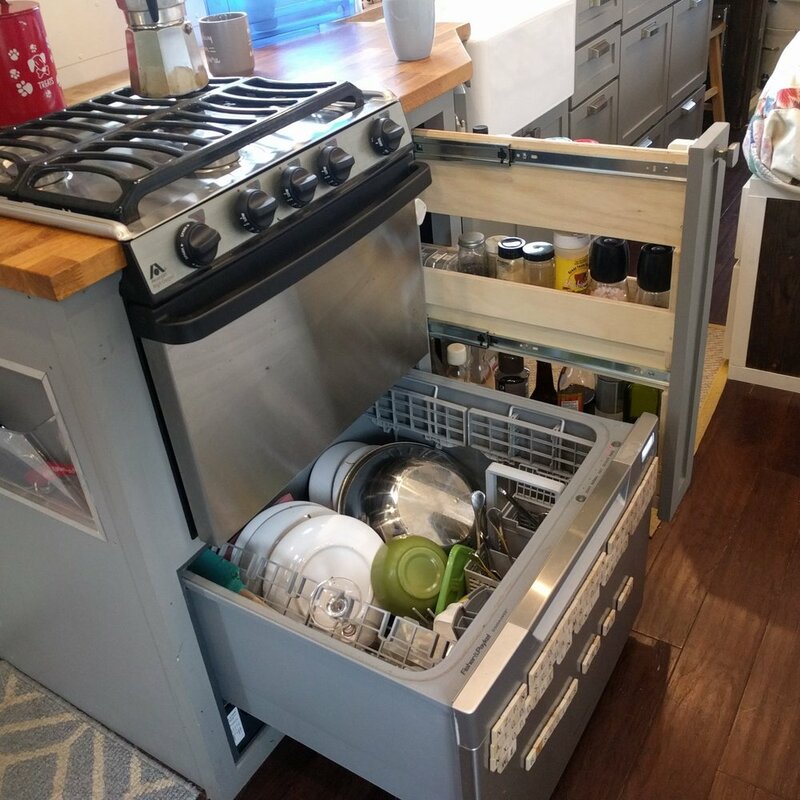 Some people scoff at the idea of using precious space in a tiny kitchen for a dishwasher, but it’s one of the more useful appliances you can make room for in your tiny kitchen. A dishwasher saves a ton of water and a ton of work. If you hate washing dishes by hand, or just want to conserve water and energy, you'll be happy to know that there are lots of small dishwasher choices for your small space. Should you get an absorption or compressor fridge? Built-in or free-standing? Propane, electric, two-way, or three-way? In this article, we explore the various refrigerator options, and help you decide which one is right for your space.